Would You Like to Know More? Podcast episode 5. Final episode for season 1! Woo! 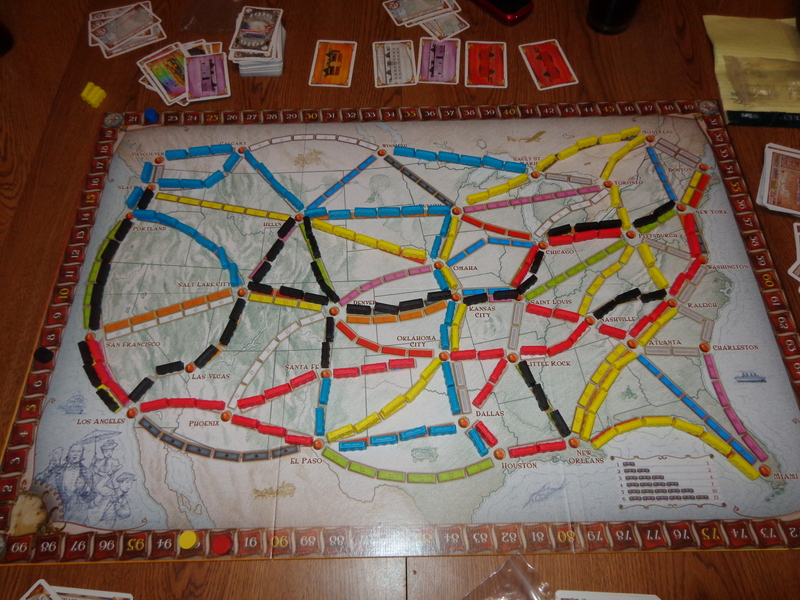 This episode we focus on the three most famous, modern board games; Settlers of Catan, Pandemic, and Ticket to Ride. We’ll discuss each of these three board games, their expansions, our strategies, and more! We’ll even talk about which of these three games we would recommend to new players. Check it out! Special guests for this episode are Kevin Tomkins, Jared Barton, and Sean Elliot. Thank you to all my friends for spending their time and coming onto my show! This was definitely fun and I’m looking forward to Season 2. We already are planning the episode ideas but recording won’t happen until January. If you have any suggestions or ideas for us to do, I would be happy to hear what you have to say! Until then, thanks for listening and hope to see you again! This entry was posted in Board Games, Would You Like to Know More Podcast and tagged Board Games, Pandemic, Podcast, Settlers of Catan, Ticket to Ride, Would You Like to Know More on November 19, 2014 by Andy. In episode 3 of Would You Like to Know More we talk about League of Legends! We discuss what this video game is about and why it is so popular. We investigate how balanced the game is and which characters are underpowered and which are overpowered and more! Finally, we recommend to new players which heroes they should play in order to get familiar with the game. Special guests in this episode are Cameron Atwill, Jared Barton, and Paydon Wilson. This entry was posted in Video Games, Would You Like to Know More Podcast and tagged League of Legends, Podcast, video games, Would You Like to Know More on November 5, 2014 by Andy. 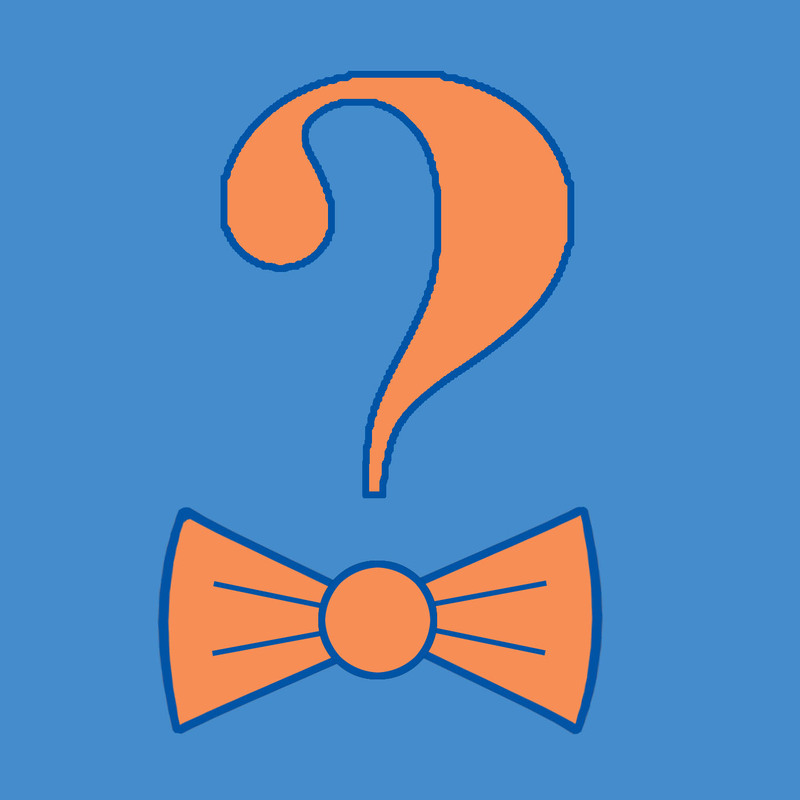 Episode 2 of Would You Like to Know More is now up! This time, we talk about X-Men-Days of Future Past. 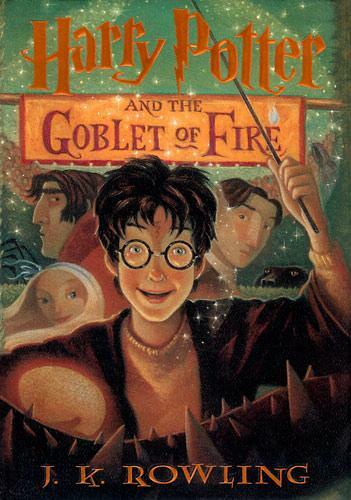 We’ll talk about this influential comic including its cartoon and movie adaptation. 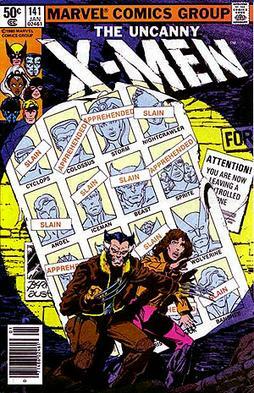 We’ll talk about what the comic meant to X-Men and the characters involved in this storyline. At the end of the episode, we’ll also talk about which X-Men characters should be in the next X-Men movie that haven’t been seen yet. Special guests for this episode are Matthew Jones, Jared Barton, Paydon Wilson, and Maxwell Fallone. SPOILERS: For X-Men Days of Future Past, the comic, the cartoon episode and the movie. I would like to apologize for the audio quality in this episode. The audio recording equipment was not functioning properly at the time of the recording. The audio has been fixed for the upcoming episodes. This entry was posted in Comics, Would You Like to Know More Podcast and tagged Bishop, Comics, Days of Future Past, Kitty Pryde, Podcast, Time Travel, Wolverine, Would You Like to Know More, X Men on October 29, 2014 by Andy. First episode of Would You Like to Know More? where my guests and I talk about Godzilla! In this episode we will discuss how we got into Godzilla, our favorite monsters, our favorite fights, and more! We will also talk about the most recent Godzilla movie (2014) and whether or not it is a true Godzilla film. Finally, we will recommend three Godzilla films for fans who are interested in getting into Godzilla. This weeks guests are Hannah Holloway (http://heholloway.com/ and https://twitter.com/HannahCarbons ), Alex Alcanter (http://virus-91.deviantart.com/), and Samuel Lamb. SPOILERS: for Godzilla (2014) and other Godzilla films mainly Godzilla (1954), Godzilla vs. King Ghidorah, Godzilla vs. Destoroyah, and Godzilla 2000. Some swearing used in this week’s episode. This entry was posted in Godzilla, Would You Like to Know More Podcast and tagged Godzilla, Podcast, Would You Like to Know More on October 22, 2014 by Andy.